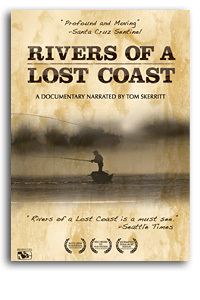 We’ve waited a long time (about nine months, to be exact) for the commercial release of “Rivers of a Lost Coast,” an important new documentary about northern California steelhead culture. The film has already won numerous awards, including the Jury Award from the 2009 Sacramento International Film Festival. Take a look at this six-minute clip from the film — it introduces Bill Schaadt and includes interviews with Russell Chatham, Frank Bertaina, Gino Franceschi and other personalities who shaped west coast steelhead fishing as we know it.